April 7th-13th, 2019 is National Library Week. The American Library Association’s (ALA) National Library Week theme is simple, but compelling: how libraries equate to building strong communities. In honor of National Library Week, the NNLM PNR’s Dragonfly will go back in time and explore the origins of the National Library of Medicine (NLM) and the National Networks of Libraries of Medicine. The NLM, located on the NIH campus in Bethesda, MD, was founded in the year 1836 as the Library of the Surgeon General’s Office, the medical literature repository of the U.S. Army Surgeon General. It is the world’s largest biomedical library and has been searched billion of times by millions of people around the world. NLM also founded and funds the National Network of Libraries of Medicine (NNLM). The historical formation of the NNLM goes back to 1965 when it was called the Regional Medical Library (RML) Program and consisted of 11 regional medical libraries. 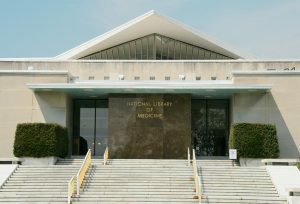 The RML Program was the manifestation of the 1965 Medical Library Assistance Act, which authorized the NLM to provide grant funding to improve the condition and potential of American medical libraries; among the many grants that came from the Medical Library Assistance Act, a grant for the development of a national systems of regional medical libraries was given to the NLM. It wasn’t until 1990, that the RML Program became what is known as the NNLM. The current overarching mission of the NNLM is to “provide all U.S. health professional with equal access to biomedical information” and to “improve the public’s access to information to enable them to make informed decisions about their health”. Last year in 2018, the NNLM and the Public Library Association (PLA) forged a new partnership that increased public library workers’ knowledge and skills related to consumer health services, called the “Promoting Healthy Communities Initiative”. In 2017, the NNLM was honored to be selected as a community partner of the National Institutes of Health (NIH)’s All of Us Research Program which has a mission to accelerate health research and medical breakthroughs enabling individualized prevention, treatment and care. All of Us will partner with one million or more people across the United States to provide the most diverse biomedical data resource in history. All of Us will make this resource available to all researchers, helping them to gain better insights into the biological, environmental, and behavioral factors that—separately and combined—influence health. 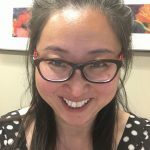 The NNLM is proud of the PLA partnership, a strong reminder of how libraries build strong communities of health through such collaborations and outreach. Happy National Library Week everyone!!! Enjoy being a part of your community and effectively, your medical/health sciences/public library!